Mammoth is operated as a division of Visionary Communications. Visionary opened its doors in December, 1994 as the pioneering ISP in Wyoming. Originally founded in a basement with six modems and a 56k Frame Relay connection to the Internet, Visionary grew to become the largest and most geographically diverse ISP in a three state region, providing more than 20,000 customers with internet access via dialup, wireless, DSL, T1 and fiber. The company was the first to deploy broadband in more than a dozen rural communities. As Visionary grew, so did their expertise in broadband communications and carrier management -- that knowledge eventually became the genesis for the Mammoth operation. Brian graduated from the University of Wyoming with a bachelor's degree in Small Business Management, with an emphasis on Finance. Brian grew up in the family motorcoach business and after college was instrumental in the company’s sale to Coach USA, which later went through a series of public offering, acquisitions and rollups. Prior to departing the transportation industry, Brian was overseeing more than 300 employees in five states. Brian purchased ownership in Visionary Communications in 2001 and worked to develop the company’s broadband portfolio in Wyoming. Seeing an opportunity in 2005, Brian and his management team formed Mammoth Networks to wholesale telecommunications services to ISPs. Mammoth quickly evolved into a Layer 2 Aggregator of disparate technologies and services onto a single, managed platform. Brian's blue-collar background translates into a hands-on approach to all facets of Mammoth’s business, from circuit ordering to project management to sales and support. Jeremy is one of the original founding members of Visionary Communications, the pioneering Wyoming ISP that opened its doors in 1994. 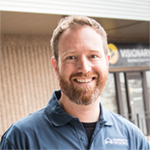 Jeremy helped build Visionary from a start-up dial-up ISP housed in a basement, to a major regional service provider in a three state region, providing more than 20,000 customers with internet access via multiple broadband access technologies. In 2005, Mammoth Networks was created to provide other regional Service Providers with a footprint outside of their traditional coverage areas. Since its inception, Jeremy has served as Mammoth's technical leader, leveraging his background in networking technologies to design, implement and manage Mammoth's network operations. 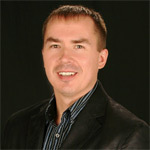 Prior to founding Visionary, Jeremy attended the South Dakota School of Mines and Technology, majoring in Computer Science. John started in the telecommunications industry working as an intern in the accounting, operations and sales departments of Touch America while attending the University of Montana. 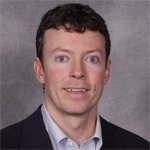 John graduated in 1997 with a Bachelor’s degree in Business Administration with emphases in Finance and Decision Sciences. Shortly after graduation, he started working full time for Touch America, initially in the Field Operations group and then in a Wholesale Private Line sales position. In that sales role, John built strong, long lasting relationships with carriers, CLECs, ISPs, and independent telephone companies. With the 360networks acquisition of the Touch America assets in 2003, John worked eight years as a Senior Account Manager in the Carrier Sales organization where he was consistently a top producer, fostering and growing customer relationships and bringing new customers to 360networks. Zayo acquired 360networks in December 2011, and after a short stint at Zayo John came to work for Mammoth to head up Carrier Sales, where he is focusing his sales efforts on regional carriers, independent telephone companies, and network service providers. Brian received his Bachelor of Science in Business Administration from the University of Denver and his Master of Business Administration from the Daniels College of Business at the University of Denver. While at the University, Brian authored a business plan designed to leverage the Telecommunications Act of 1996 and the FCC PCS spectrum auctions of 1995 to form a regional PCS carrier and facilities-based CLEC. For the next 15 years, Brian led the deployment and operation of San Isabel Telecom as the Vice President of Operations. In 2010, Brian left San Isabel to form Wagner Telecom Management LLC and to take a teaching position at the University of Denver’s Information and Communications Technology (ICT) program. While at Wagner Telecom Management, Brian specialized in aiding carriers, ISPs and municipalities with a variety of planning, technical, and regulatory issues. In December of 2013, Brian accepted a position at Mammoth to lead the sales engineering and carrier management efforts of the organization. Gina brings twenty years of telecommunications experience to the Mammoth team. 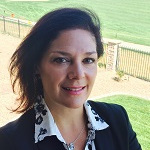 Gina’s telecom career began in 1995 at a small interconnect in Phoenix, AZ ordering T1s and managing business telephone installs. Shortly thereafter, she started working for Nextlink , now XO Communications, in the National Sales Team. Gina created the Implementation and Customer Service teams for the wholesale division of Nextlink as it grew from $100k in new monthly revenue to $1mil a month in new revenue. In 2000, 360networks recruited her to move to Colorado and create a team to manage the 360networks off-net strategy. Gina held this Vendor Relations role for eleven years, when 360networks was sold to Zayo in December, 2011. Zayo did not initially have an off-net strategy. Gina forged that strategy, and built a team to support Contract Negotiation, Pricing and Optimization. As Vice President of Operations for Mammoth, she works on internal processes to include order implementation, escalation and management. Evan is a Colorado native and received his Information Systems degree from the University of Colorado at Boulder’s School of Business. 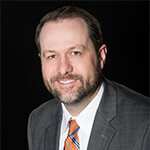 Starting in 1997, Evan began working in the technology and telecom industry as a technical support representative for America Online and GTE Internetworking. Evan also worked as a technology consultant and freelance web designer until 2001, when he helped start an ISP focused on servicing resort communities. 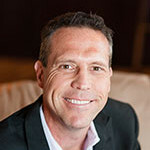 Charged with everything from supporting the technology to making daily operations decisions, Evan became the President of Resort Broadband, LLC in 2009. During his tenure, the company grew rapidly which included expansion as a WISP, CLEC and FTTx Provider. Resort Broadband was sold in 2013, and subsequently certain business units were divested. Evan joined the Mammoth team in 2014 as a result of these divestitures and is highly motivated to use his industry experiences to help grow the company with a focus on developing Public-Private Partnerships and rural broadband expansion.